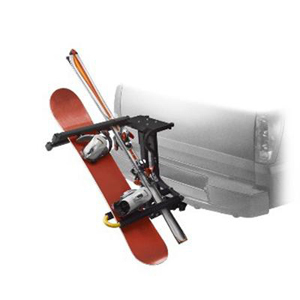 This Hitch-Mounted Ski Carrier holds up to five pairs of skis or four snowboards and one pair of skis, depending on the equipment style. The carrier allows access to the truck bed without removing the carrier. Requires Hitch-Mounted Bicycle Carrier (P/N 12499171) and License Plate Holder (12495709).